The Family Planning Program promotes the well being of families, responsible behavior, and healthy mothers and babies. Our goal is prevent unintended pregnancies through education and contraceptive services, allowing for the planning and timing of pregnancies. There are 83 clinics throughout Alabama offering family planning services. 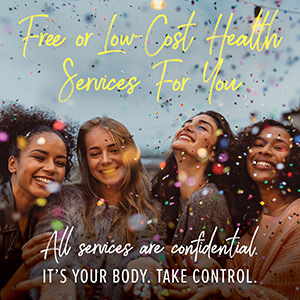 We provide a wide range of confidential and professional family planning services to both females and males of all ages. These services are provided regardless of income. You may be eligible for free or reduced cost services. One style doesn't fit all. Especially when it comes to birth control. Let us help find a method that works for you! Call 1-800-654-1385 or contact your local county health department. Care coordination for some clients. Learn more about preconception health, why it is needed, and what steps you can take to improve the health of future pregnancies on the Preconception Health page.